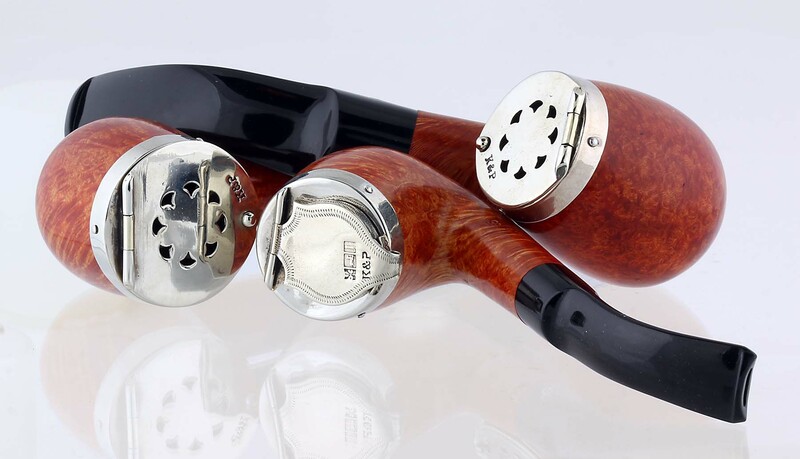 If you follow Peterson, then you know there’s been a bit of excitement in the past few months with the appearance of the first Antique Nickel Cap pipes. 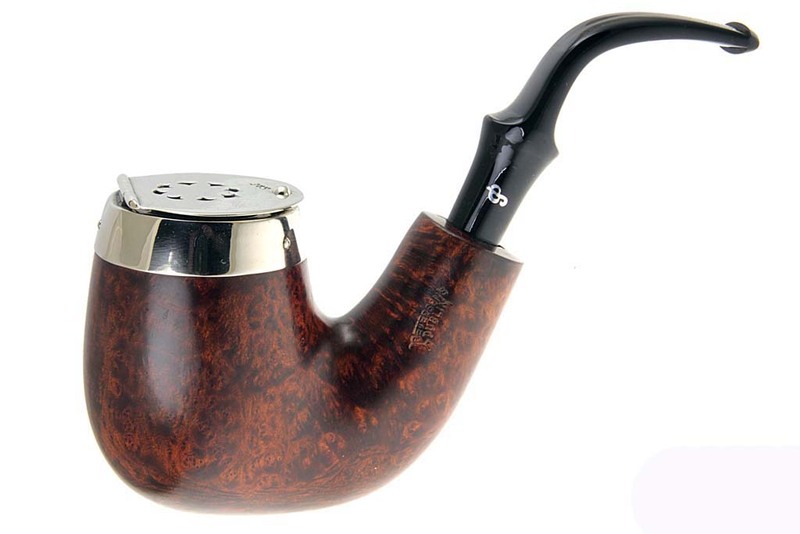 As more will be coming when suitable bowls become available, I thought everyone would like to know a bit about them as well as see some samples of Peterson’s work with these treasures. It turns out there are two separate types of cap. For one we have good documentation, and for the other we can make some reasonable deductions. The 1906 catalog illustrates no less than five different shapes of varying sizes with what we’ll call the 1906 Hinge Cap. Notice these caps were available in both sterling and nickel. 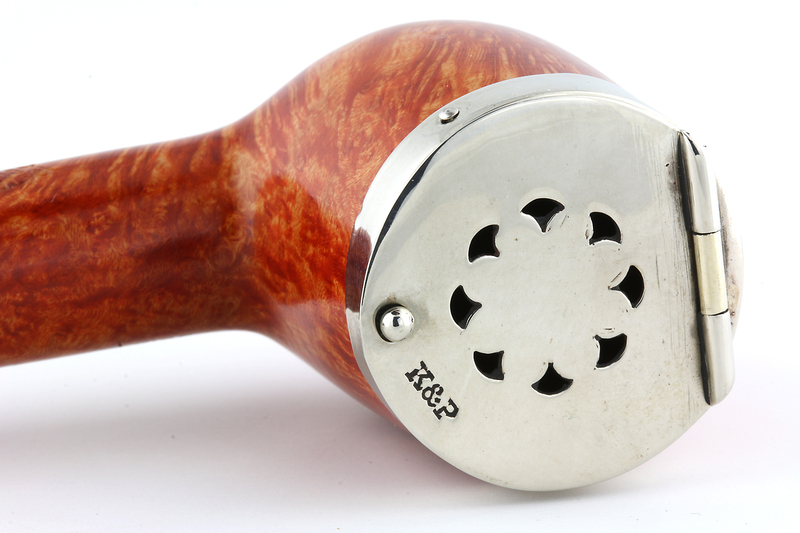 The intaglio engraving of the 12AB pictured above gives us the best view of it. The first point of interest is in the hinge placement: when raised, the pipeman potentially has an obstructed or partially obstructed view of the chamber. The lid would actually drop back, of course, to rest on the shank, but it’s s a curious bit of engineering all the same. 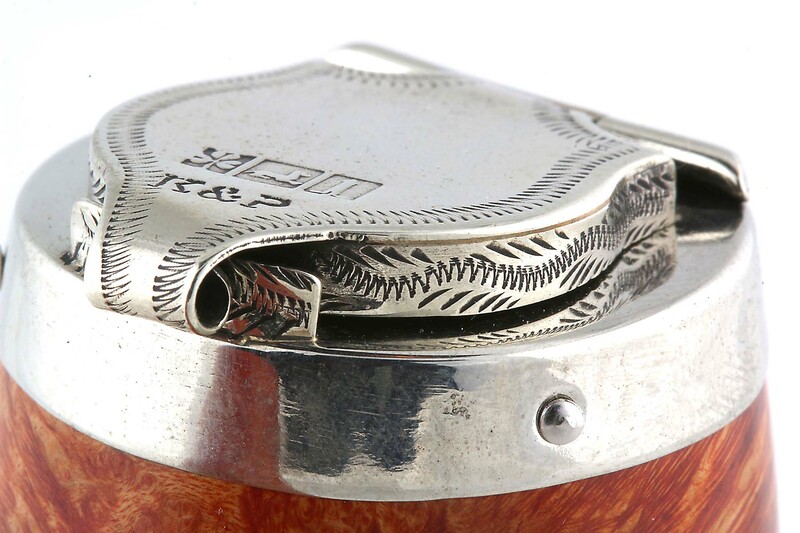 It’s just not performance friendly, trying to light tobacco with the lid coming down where one’s finger and thumb are holding the bowl, and whether Jason Hinch, Peterson’s silversmith, was aware of the original or not, I much prefer having the hinge on the forward part of the crown. None of the engravings shows mounting pins, another curious feature. One wonders whether the caps were so well engineered that the pins weren’t necessary, whether they were glued to preserve a smooth line, or for some other reason. In any event, the decision to use three equally placed tacks to secure it seems like a good idea. 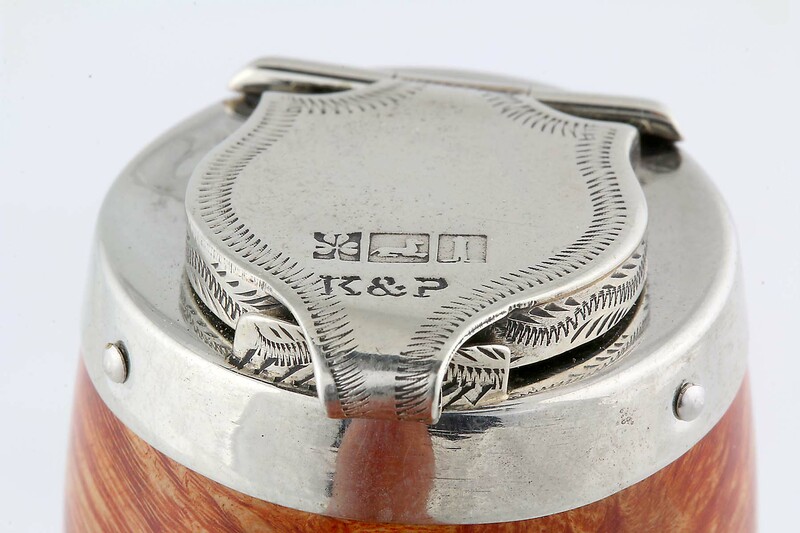 As to the stamps: the 1906 nickel Hinge Cap features Kapp & Peterson’s original maker’s mark, a plain K & P. As we note in The Peterson Pipe Book glossary: “The K&P punch was registered with the Company of Goldsmiths of Dublin on November 25, 1893, after Kapp & Peterson came into being, and has been used thereafter.” It’s been on all nickel-mount Systems and many other nickel-mount Classic Range lines, as well as on many sterling mounts over the years. 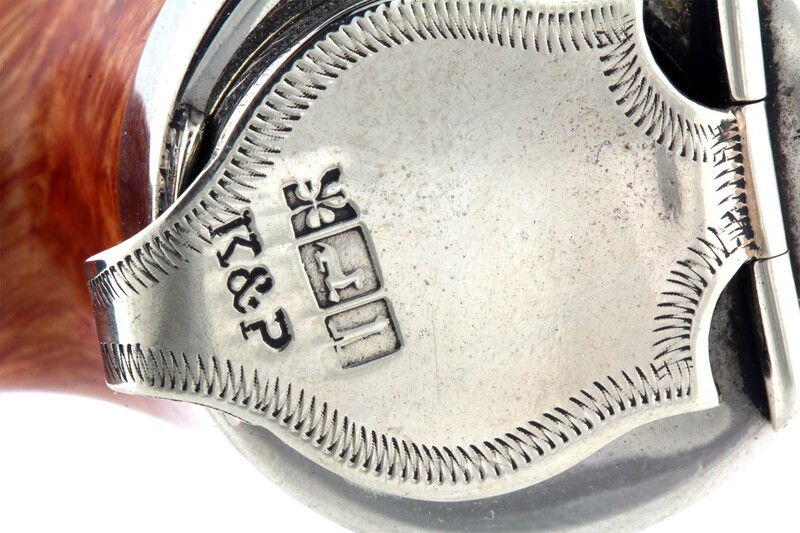 There is no trace of the second nickel Hinge Cap in the ephemera we have so far recovered. But in describing it, and examining it closely, I would hazard a guess that it dates slightly later than the original, perhaps shortly after the expiration of the Patent in 1919. My reasoning is as follows: first, the extravagant engraving on the top and side of the lid, and its shape, suggest something second generation, a rebooting of the original idea. The idea of the carved crests and monograms that were available in the 1906 catalog has been executed here as a literal wind-shield. Second, later generation sterling wind caps (like those seen below) employ a similar shield-shape, albeit without the tracery on the sides of the lid. 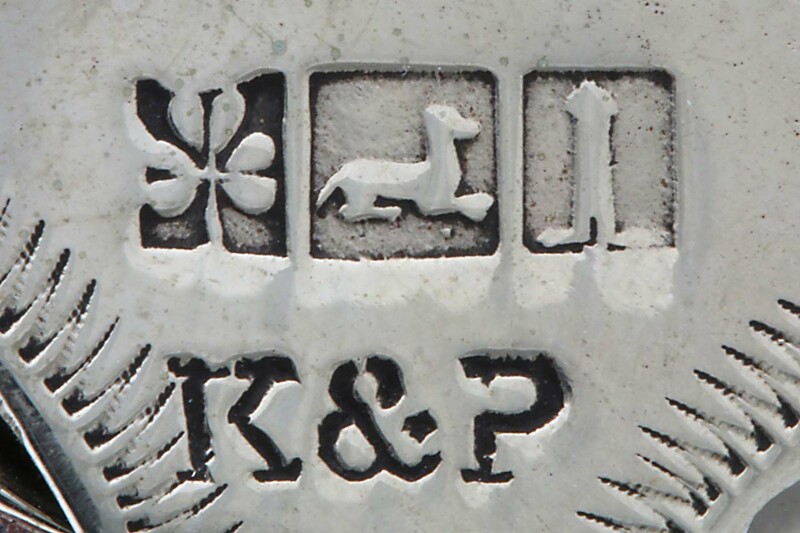 And third, the K&P maker’s mark is accompanied by a precisely articulated set of nickel-mark mounts. My co-author Gary Malmberg also believes these are the earliest nickel marks to be used. 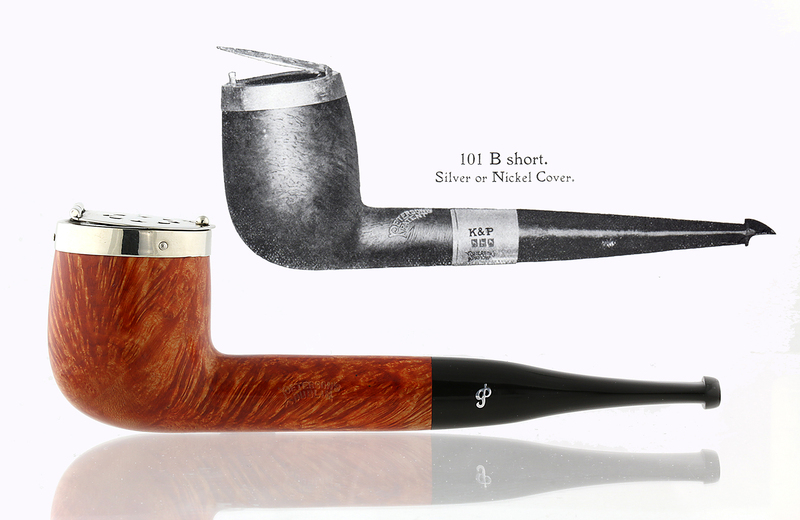 We discuss later variations of these (with illustrations) in The Peterson Book as a regular feature of all nickel-mount pipes appearing from the 1906 catalog until about 1963, when they were discarded. Notice the ribs in the three shamrock leaves, making them appear almost as six leaves. 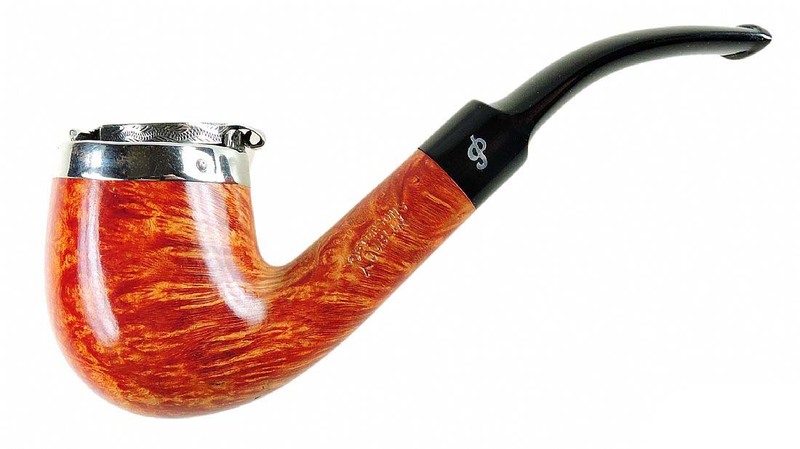 This would be repeated (and look like six leaves) on the nickel bands of many Rogers-era Shamrock pipes in the 1940s and 50s. The long-necked wolf hound, the center mark, is also quite distinctive, and differs significantly from later “faux-marks” (as Pete Nuts call the nickel-mount marks). The round tower is also different from later iterations, featuring a small vertical door at the base. The underside of the shield on these marks, which you can see in the final photograph, has either been blackened or left unpolished, also a nice touch, as the 1906 Hinge Cap will require a bit of polishing. A date of c. 1919 is of course, just a guess, but this type of extravagant decoration seemed to drop out of fashion by the late 1920s. Incidentally, the caps, Jason Hinch at the factory tells us, are nickel-coated brass. 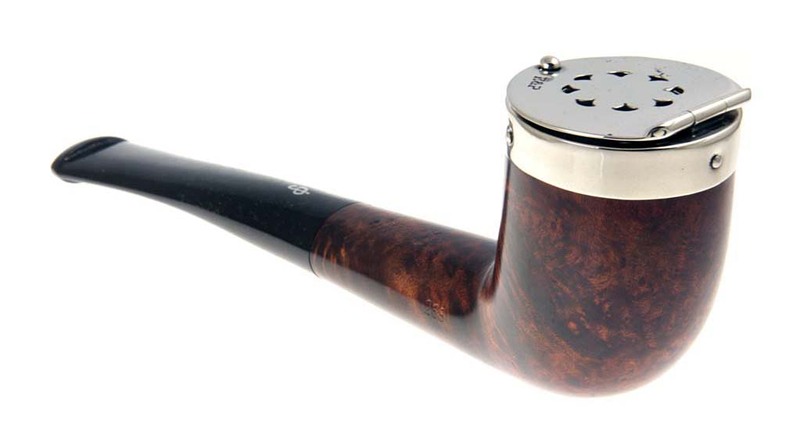 Smokingpipes.com is just calling these pipes “Nickel Caps,” while the Italian dealers are calling them (a little more accurately) “Antique Nickel Caps” (Sansone Smoking Store) or “Vintage Nickel Caps” (AlPascia). So far I’ve seen the pipes in two grades: a dark walnut finish and Peterson’s orange Natural, the latter costing about $40 more. 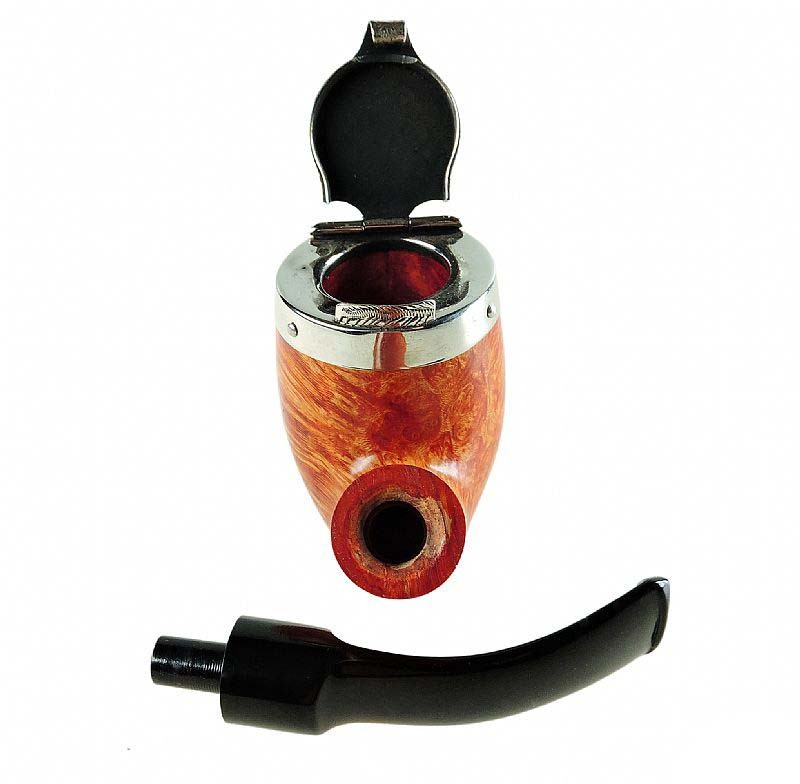 Almost all (the House Pipe above has an acrylic stem) have ebonite fishtail stems and an inlaid aluminum P on the mouthpiece. I confess the saddle stems are my favorites here: something about them seems very vintage indeed. 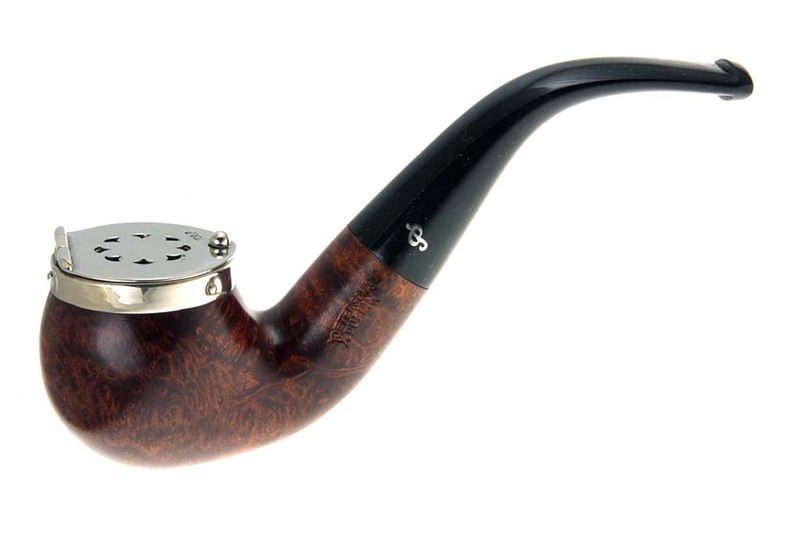 We’ve become so used to seeing a Peterson with a band, that seeing one without seems somehow quite fresh, as though one just walked into the shop off Grafton Street around 1920 or so. Many are in smaller sizes, what we thought of as standard back in the 1970s and 80s. The “little” shape 65 shown here, I discovered, has the same size bowl as the GBD 264 canadian saddle my Grandmother Jessie bought me my senior year in high school! There are a few larger ones, including the X220 seen above, which is actually an XL220, noticeably bigger than the X220s one normally sees. 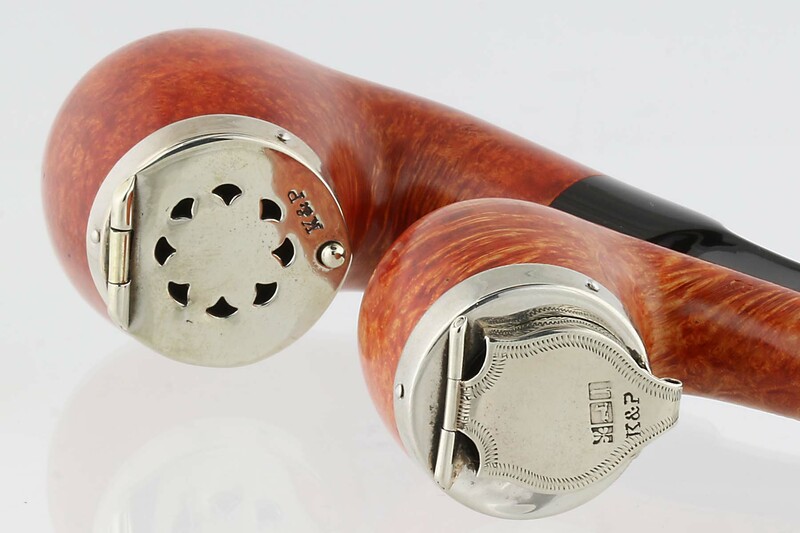 I wish I could have liked just one of them, the 1906 Patent or the c. 1921 IFS cap, but being a Pete Freek, I find them both irresistible, even though I rarely smoke outdoors if I can help it. I follow my Granddad Aurley here, who routinely said with a laugh, “Roll up the winders—don’t let the smoke out!” as he puffed his cigar driving with me down highway 95 in Missouri. Mostly my outdoor smokes are confined to early morning pipes with my Dad over coffee, so I guess he’ll be seeing me more often that he has of late! 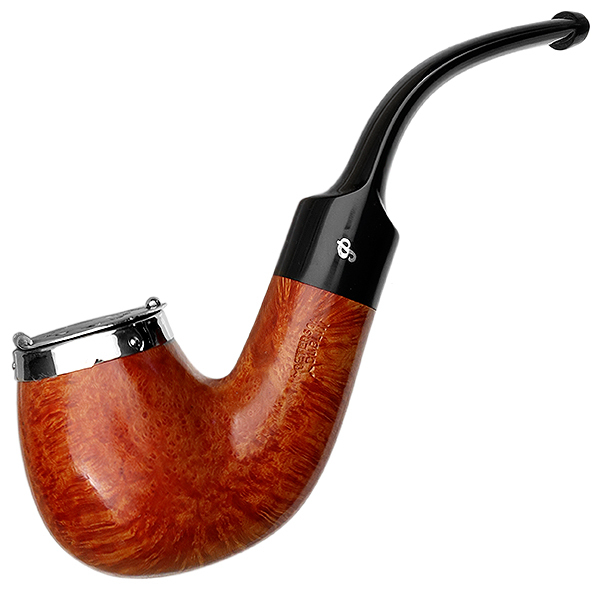 Pipe smokers who use them for serious outdoor use say they’re great, and allow the tobacco to keep burning without the threat of a burnout.